Without a strong beat, how can you expect anybody to sit up and notice your music? Long gone are the days of cringing every time a crude snare drum sample is triggered. Or that 808 you’ve heard a thousand times kicks the chorus four on the floor like it has so many times before. 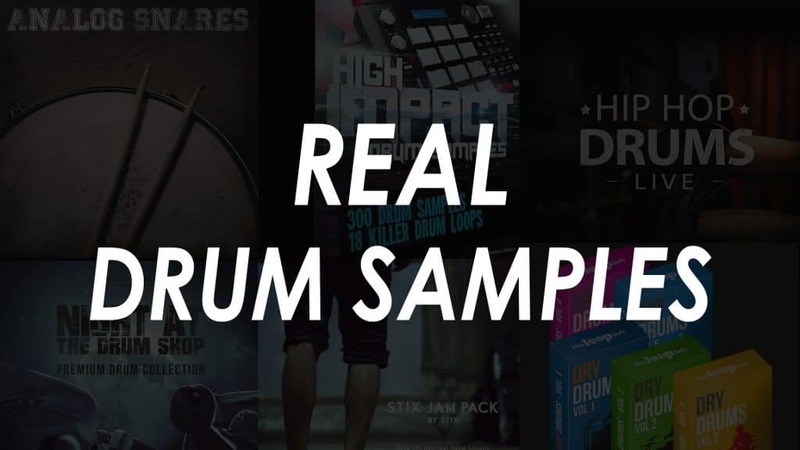 This article explores 9 great real sounding drum sample packs covering different genres, styles, and formats, guaranteed to add enough juice to supercharge your productions. 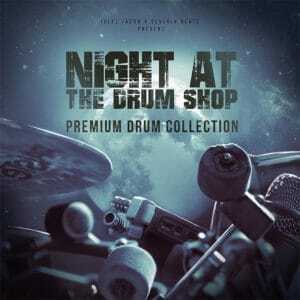 So let’s take a look at the crème de la crème of real drum samples available today. Below is a list of the “real” drum samples we talk about in this article. Scroll down for more details or click to hear audio demos. 440 snare drum samples within a package may seem overkill, but as soon as you dive into the seven different folders, (another well-organized sample pack!) it’s quite clear you’re not dealing with just “another” sample pack. The team at Modern Samples have captured 11 different snare drums in 3 various locations, recorded and mixed through a fully analog chain to ensure maximum harmonic loveliness throughout. Diving into the different folders provides a versatility that will suit users of various genres and skill levels. The “clean” folder allow producers that prefer to start raw and shape their own sound to have their way. The “game over” and “layered” folders allow a ‘finished’ sound to be added to your production with ease. If you are wanting a little more impact to inject there’s the “punch and click” folder, comprising of snares that smack. Or perhaps the snare you’re working with doesn’t have the right ‘space’; the “textures” folder can take care of that with a host of ambient flavors to choose from. Will you ever need another snare sample library after checking these? Hip Hop Drums and Live aren’t two words often synonymous, with Hip Hop being largely responsible for the explosion of the TR-808. However, if you look at the spine of Hip-Hop heavyweights from its embryonic stage to today, what do those at the top of their game have in common? What does Dr. Dre’s “2001” and Kendrick Lamar’s “To Pimp A Butterfly” have in common? Live Drums that hit hard! 400+ samples of Claps, Cymbals, Hats, Kicks, Snares, Toms and more, this sample pack is perfect for the Hip Hop producer that wants to layer his Drum Machines with real sounding drums, packing a punch and adding flavor that wouldn’t be possible to achieve with a Drum Machine alone. Furthermore, these snare samples were captured in a converted church with massive ceilings, recorded using the best vintage equipment and mixed to be instantaneously usable within your work. The stomps and hits within the Misc folder are worth the investment alone, which when layered with a kick drum that’s already layered with an 808 bass, triggers a Kick that people will hear 3 blocks away. How much can you possibly need a percussion sample library? 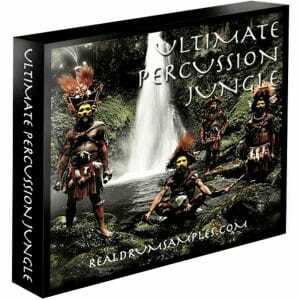 Well, about as much as the guys behind Bruno Mars, Kanye West, Jay Z, Beyoncé, Dr. Dre and Timbaland do, which is why you need to use Ultimate Percussion Jungle like them. With more than 450 high-quality percussion sounds bundled into this one sample pack, you can be adding Tibetan Gongs, Hindustani Tabla and Nigerian Udu’s into your track to further densify the percussive landscape. When was the last time you heard a Timbaland hit that didn’t have a tabla sample? Perhaps the only flaw in this vast percussive library is the lack of loops for each of the percussive samples. And although you can create your own loops by arranging a series of different velocity samples and manipulate fades between, this isn’t quite as user-friendly as some of the other libraries explored in this article. With that in mind, 450+ samples of unique percussion to add a signature flavor to your work is hard to find elsewhere. 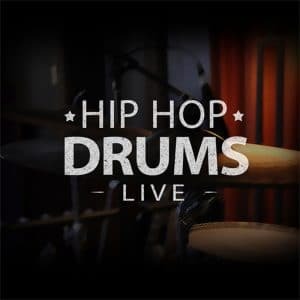 These real drum samples are delivered in WAV format to be used in all popular DAWs and hardware devices, and meticulously organized for ease of use. A fantastic addition for producers of all skill levels – with the unique array of percussion sounds available allowing a producer to create their sonic signature. 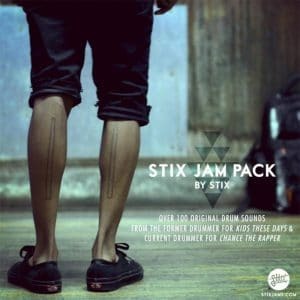 Stix Jam Pack features 100+ original drum samples from sessions with legendary Beastie Boys Producer Mario C & Jeff Tweedy. 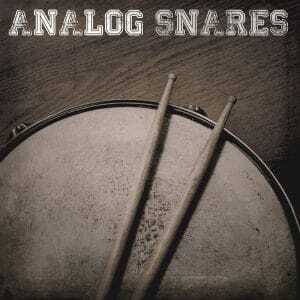 This package is great for injecting huge, warm and punchy drums to any production, with the Vintage Recording set-up adding beautiful harmonic distortion to the one-shots; as well as the loops. For those producers wanting a loose hip-hop drummer on a track, but can’t afford a session drummer, the recorded loops are superb to inject into your projects with a simple drag and drop. Though this pack may not be the most exhaustive on the list, having access to one of hip-hop’s hottest drummers and a host of huge, warm and punchy drum samples to audition, is certainly not something to take lightly. Stix Jam Pack may be just what your hard drive is missing. Have you ever sought after a drum sample library with over 300 individual samples where the kick drums range from Hip-Hop to Pop to Cinematic? Maybe you’re dying for a series of Snare Samples that’ll allow you to flick from large ambient explosions to tight and dry? Or maybe you’re just sick of the stock 808 clap you’ve heard on every bedroom producer’s trap beat for the last 6 months. Whichever of the categories you fall into, or even if you don’t, High Impact is a collection of realistic drum samples not to be scoffed at. The perfect balance between processed samples to drop perfectly into any polished track, to the rawer sounds that can be manipulated, edited and carved to sound like nothing you’ve ever heard before. High Impact hits hard! Alike “Night At The Drum Shop”, the Acoustic Drum Samples Bundle is ready to be used with your Hardware and Software, making it user-friendly from the go. With over 390 samples of kicks, snares, cymbals, rides, hats and more to add an acoustic flavour to your music, this bundle is a great choice for producers wanting more organic sounding drums. 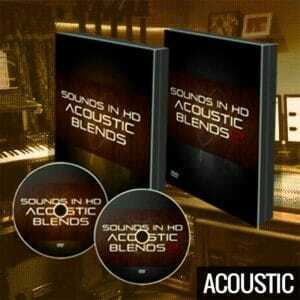 Sounds In HD: Acoustic Blends 1, layers a range of unusual and unique tones and textures to provide the samples within the package. On the other hand, Acoustic Blends 2 gives you almost twice the number of samples as Volume 1 (260+ to Vol 1’s 154), as well as being heavily influenced by Super Producer Danja. If you’re trying to achieve that urban pop crossover, starting with these acoustic drum kit samples wouldn’t be a bad idea. Think Dry Drums Bundle from above, but warmer and with one-shots. Future Drums, Live Drums & Warmed Drums make up the bundle dubbed “Night At The Drum Sho.” Complete with 347 one-shot samples ready to work with a variety of modern drum machines and software, producing stand-out drum tracks couldn’t be easier. And stand out they are! Used by Producers behind Kendrick Lamar, Eminem, Drake, Kanye West, Beyoncé, these are “real” drum samples you can trust to pack a punch in your beats. The mix between one-shots and loops within the sample library opens these samples up to a varied audience, from inexperienced programmers all the way up to the more seasoned producer. With over $20,000 worth of gear used, the meticulous recording process of putting together this set of real drum kit samples is obvious. Add that type of color to your sound isn’t easily achieved these days, without access to a professional recording studio. 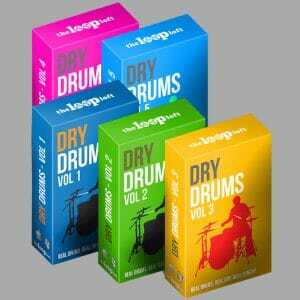 The Dry Drums Bundle from Loop Loft bunches five volumes of drum loops together into one package. 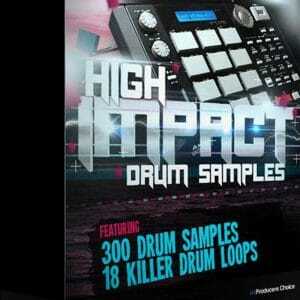 With over 1100 Drum Loops to audition, you’re bound to find inspiration to start your latest hit. This package is ideal for the laptop songwriter, looking to add percussive flavors to their compositions due to the vast array of drum loops available (both stylistically regarding groove and production). For the more seasoned producer, the Dry Drums Bundle may serve more as groove inspiration than a production staple, due to the lack of one-shots – though that’s not to say they can’t be easily spliced and mangled to suit. Fat, dry drum loops have their place on any producer’s hard drive, and these loops are exactly that. Whether it’s The Beatles dampened tea towelled drums, or that Bruno Mars funk sound you desire, Dry Drums can certainly help you get there. Available in WAV, REX2, Stylus RMX and AIFF formats, sampled at 48 kHz / 24 bit, these are some high quality, versatile loops. Matt Chamberlain has probably played on some of your favorite records from artists like Peter Gabriel, The Wallflowers, Fiona Apple, Kanye West, David Bowie and Elton John (to name but a few). 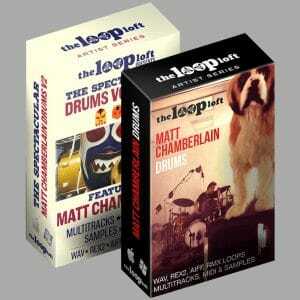 This Loop Loft collaboration is an incredible opportunity for producers to add that famous vibe to their tracks. With a host of different bundles to choose between, you could easily end up with 18GB worth of drum multi-tracks, loops, one-shots and MIDI loops. The ability to “remix” the loops from the multi-tracks or retrigger the grooves using a Virtual Instrument via the MIDI loops provided, adds versatility to this particular package that sets it apart from the competition. Finding any immediate flaws with this bundle is difficult. Though not for the faint-hearted and only 167 samples across eight drum kits, you do have access a superstar session drummer imported into your DAW, with his unparalleled style to be sonically manipulated for your track – however you desire. It quickly becomes apparent that the competition and range of live drum samples are vast, but one thing’s for sure – the competition is driving the demand for quality. With each of the nine packs explored in this article being of the highest quality, any producer or beat maker (regardless of experience and skill level) can utilize them to bring their beats to the next level. Whether it’s adding an ambient tambourine to help a snare poke through, a heavily processed 808 pack to add low-end punch when your track is slamming in the club, or maybe you just need a set of loops and grooves to ignite inspiration, there’s a pack here for you.